The archaeological sites in Ecuador are often overshadowed by more popular locations in neighboring Colombia and Peru. However, archaeology enthusiasts have a wealth of options including more than just well-known Ingapirca to admire. Take for example the huge, 83.9-hectare site of Cochasqui, where pyramids and sacred animals patiently remind us that Ecuadorian archaeology holds more secrets than most people recognize. The debate is on: was Cochasquí a home for Quitu Cara elite, an astronomical observatory, a fortress, a sanctuary, or did it serve some combination of functions? The pyramids were created with cangagua (a volcanic rock-like material). Scholar say the 160kg (352.74 lbs.) cut blocks of rock were softened with water and then cut using harder volcanic rock tools (the site was inhabited before the Iron Age). 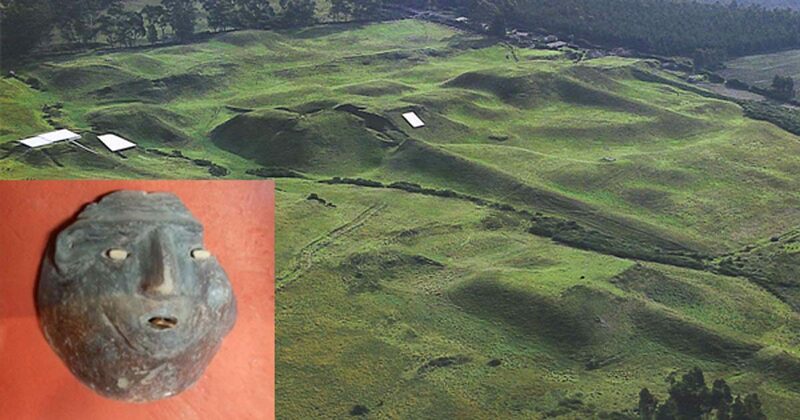 4 Comments on "Ancient Pyramids just north of Quito"
Famous Ecuadorian architect, professor and Quito resident Jorge Benavides Solis surveyed these ruins and published a book about his findings in 1986. The book is titled arquitectura y urbanismo de cochasqui. These ruins are well know in the area by the locals. I was a PC volunteer near this site and visited it often and took my friends to see the ruins. Little know site but very fascinating and I don’t have enough space to tell you the many stories about the site I heard from the locals. Not to mention the items found by them when tilling their fields nearby. Could someone tell us exactly where it is? I spent a year in Zuletta Valley and never heard about it (Peace Corps 1967).